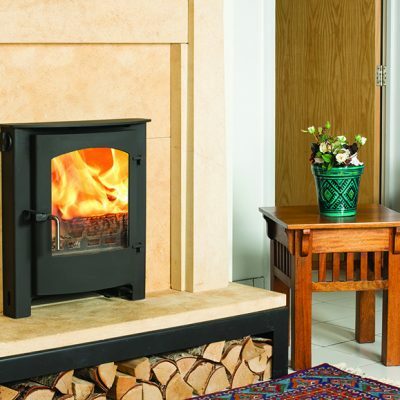 The Langdale is an innovative stove that really brings something new to the Town and Country Fires range. Designed in house by our own designer, built and engineered in our factory in Pickering. This is a fantastic quality stove and as usual, is up to our high standards. 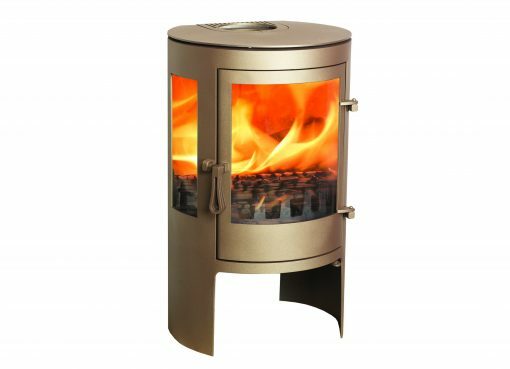 We have designed two different heights of the Langdale to enable the stove to fit into either an open plan room or a smaller fireplace. 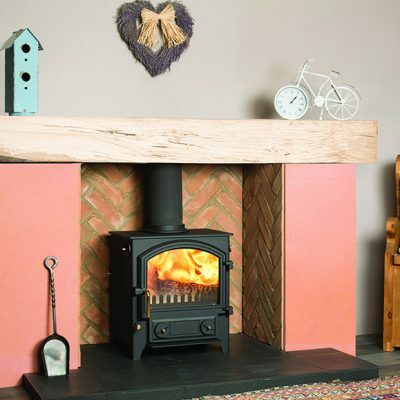 The overall look of the stove lends itself to either a modern contemporary setting or a traditional Inglenook. The stove is very controllable with a great clean burn system and as an added bonus, the flames can be viewed from three sides. 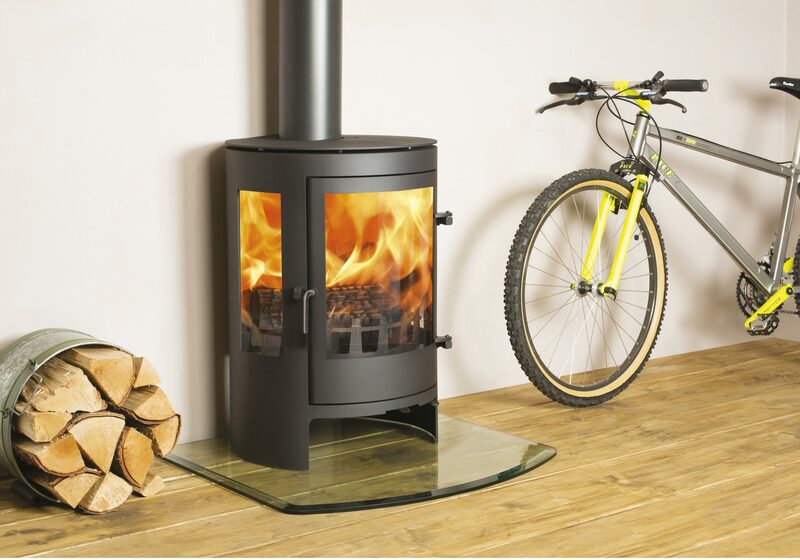 Unlike most stoves in this sector, Town and Country Fires have developed the Langdale to burn as a multi fuel stove, which offers you more flexibility if your dry log supply runs out. 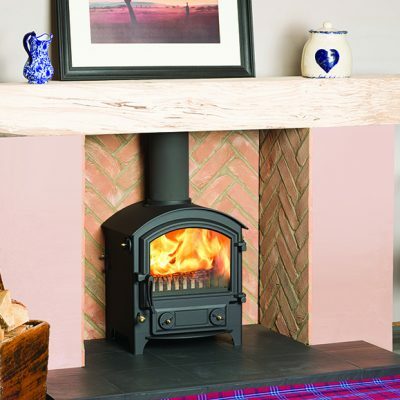 The stove works great as a log burner and offers you the chance to put solid fuel on to increase burn times. This efficient stove has been developed as an exceptionally clean burning stove so that it is independently approved for burning wood in a smoke control area. 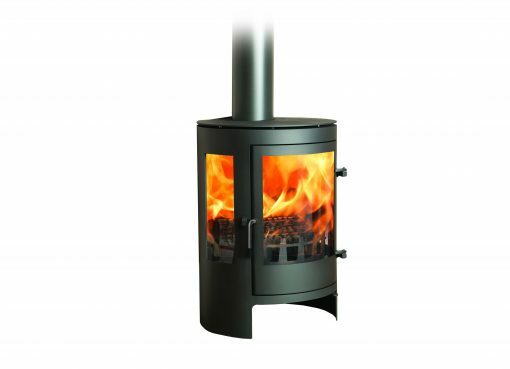 Like all of our stoves, the Langdale is available in black as standard, with a large selection of colours available at a small extra charge. The special paint we use is extremely resistant to high temperatures. The Langdale can be supplied with an outside air kit, which is now a requirement in a lot of new build properties, and this version is also available with remote control if required. Patent granted on rear inlet for secondary air, tertiary air system and remote control.